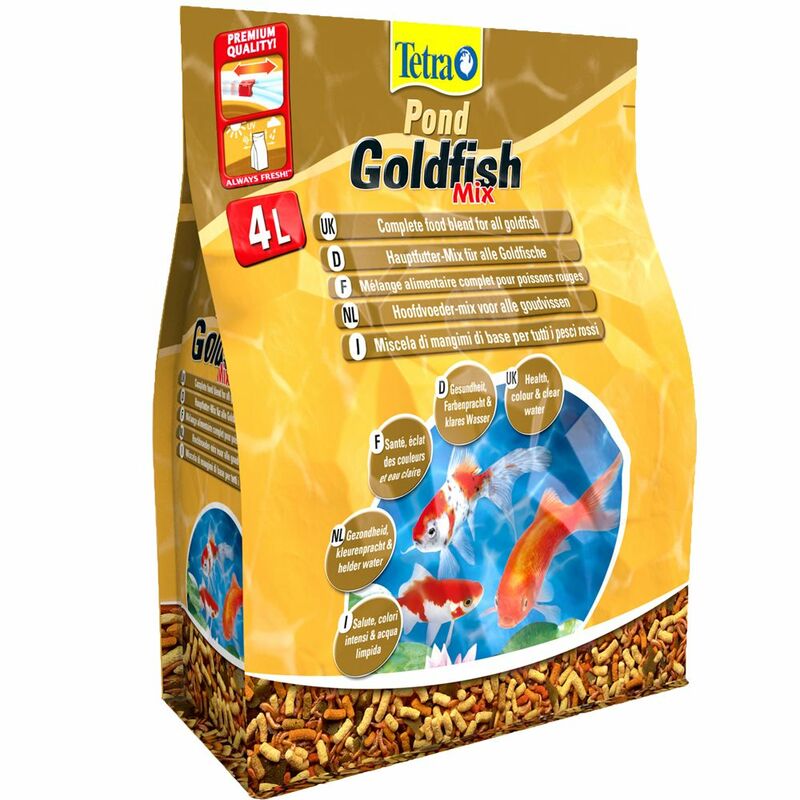 The combination of flakes, sticks and tasty little gammarus make Tetra Pond Goldfish Mix a varied tasty bite for all goldfish. Hydrolisated proteins provide for healthy, species-appropriate growth. The carbohydrates are easy to digest and provide varied energy sources. An extra portion of spirulina flakes can have a positive impact on the immune system of your goldfish and intensify their scale colours. The balanced feed comes in a resealable pouch to preserve the valuable ingredients and freshneΒ. The practical zipper helps you protect against harmful influences like light, air and moisture. Tetra Pond Goldfish Mix at a glance: A mixed complete feed for all goldfish Varied recipe: with sticks, flakes and delicious gammarus Spirulina: nutritional microalgae support intense colour and strengthen the immune system Hydrolisated proteins: for species-appropriate, healthy growth Highly digestible: digestible carbohydrates for energy Practical resealable pouch: with zipper, keep away from light, moisture and air For clear water.